This wasn’t a rock concert though, which means no half-dozen DSLR wielding people I have to elbow, so I was wondering how I could get near the stage to shoot. I think I let one or two songs pass, before I braved the watching populace, passed the aisle, and started shooting in front of the stage. 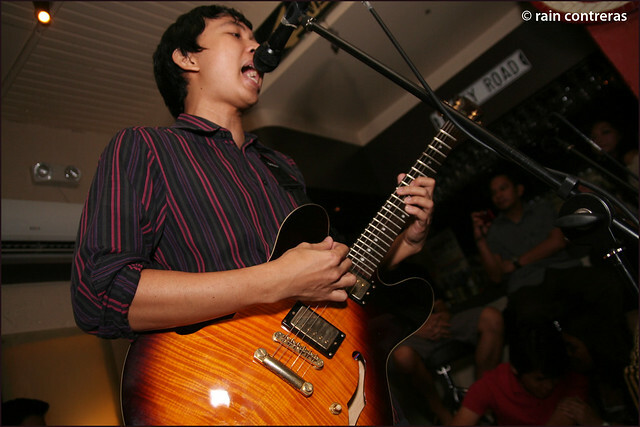 It took about six songs before barong-clad security asked me where I was from, as I sat sidestage. I told them I wasn’t with anyone, and they asked that I could still shoot from where I was, but I couldn’t go in front anymore, as I was considered an audience disturbance. I’ve been shooting gigs for about four years, so this is nothing new. I got my shots by then, and even if I’d tell them that I shoot crouched, being careful not to have my head above the elevated stage, and would only stand up to leave and go sidestage, I judged by then I should just given in, and sit and watch already. He sang with a scarf around his neck, exclaiming that he will be performing again the next day, and was afraid he might lose his voice. Open areas are difficult venues to perform, he further emphasized. Most of the shots I took had the scarf ends laying in front, like a priest’s stole. 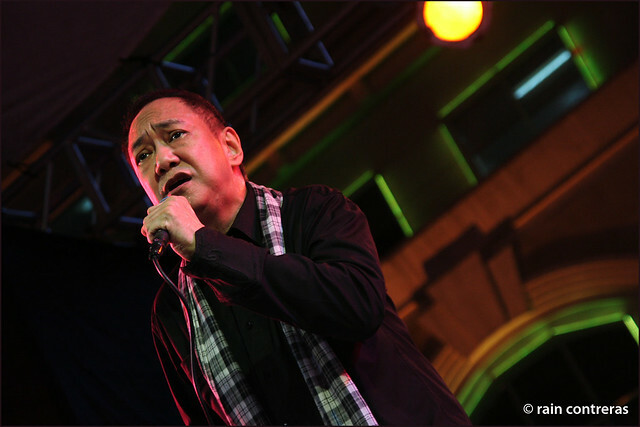 The songs were performed chronogically, from the days when Basil sung at weddings, to his hits from Ryan Cayabyab and George Canseco. There were songs with new arrangements, but I’m assuming a good half stuck with the original, and I’m more than glad for that. No Let The Pain Remain, no Sya Na Ba, no Gaano Kadalas Ang Minsan, all personal favorites, so I’m assuming it was planned that only positive vibes were meant to be shared to people that evening. One song stood out, one song that wasn’t in my collection, but one that I do distinctly recall. 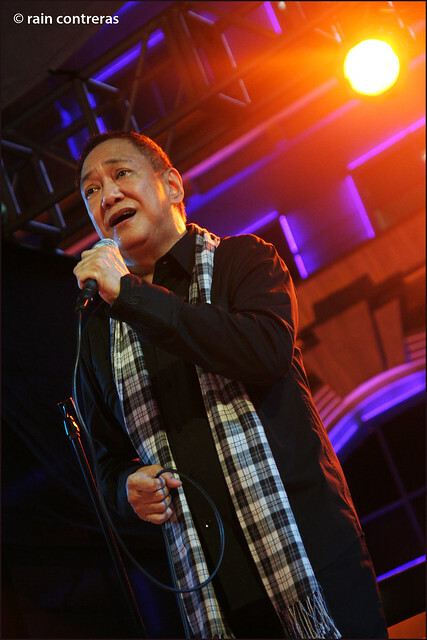 It was Salamin ng Buhay, which Basil noted was a special treat for that night’s repertoire. The low but passionate violin intro takes the listener in deep, almost trance-like into the song. Listen here. I know I shouldn’t expect much from a free gig, but the Basil songs I love are either soaked in tragedy, plucked straight from those 80s drama films, or his handful of delightful duets. Still, I was glad to witness this, and more than glad that the photos I took weren’t at all bad. A few hours later, plus a short jeep ride, and surprised about the new look and setup or Route 196, I was back in normal gig-shoot mode, and was looking forward to see one band I haven’t seen before (Hidden Nikki), and probably the only prominent band of current that I’d admit to be unabashed fan (Up Dharma Down). 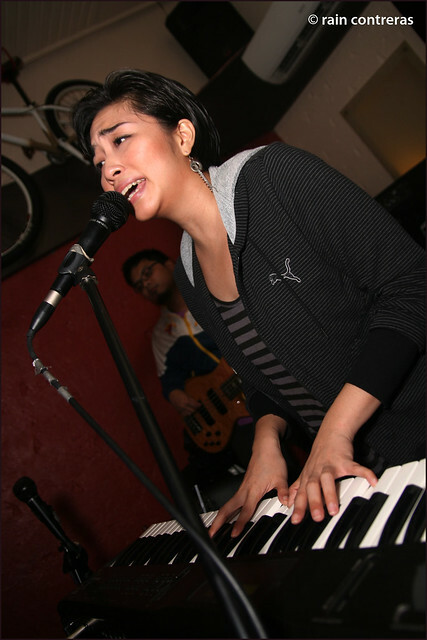 I found out about Hidden Nikki, as they were the newest addition to the Terno band roster, and made the most obvious conclusion after hearing some songs online: they sound like the defunct local band Sound, a band I’ve only seen once, but whose albums I devour. Watching them live though, it didn’t register as much. The jazz inclination was prominent, but it wasn’t too jazzy. Young and promising, and I do hope they come up with a record.